The way a zipper for vinyl packaging is implemented may affect the type of materials you can put in that packaging. For example, a front-loading zipper bag may not be ideal for loose products that would fill the entire space. When you open the zipper, the products may spill out. On the other hand, top-loading zipper bags would be able to handle this loose product with less of a mess. Here at ABV Packaging, we understand that it can be challenging to pick out a bag that perfectly fits your product. 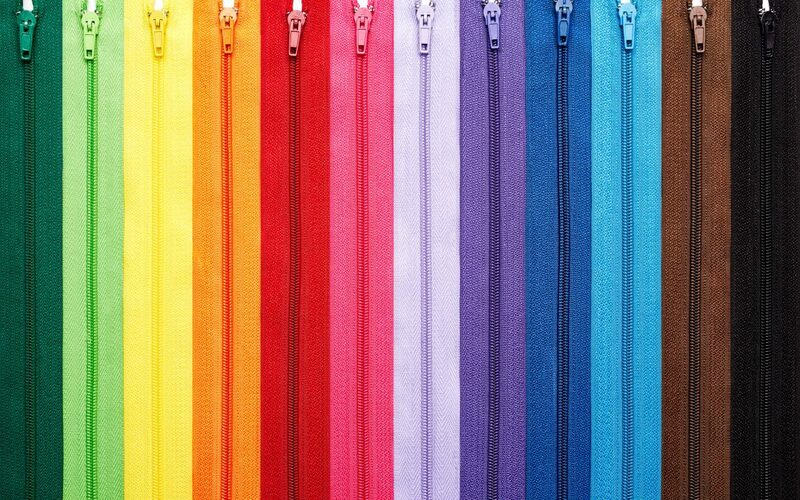 To help you better choose a zipper style, we are going to go over your options. A front-loading zipper, sometimes referred to as a pocket zipper, is placed on the front face of the vinyl packaging. Many customers choose to use this type of packaging for cosmetics. Bags with this type of zipper may have less volume than other zippered packages. Top-loading zippers are, unsurprisingly, located on the top of a bag in a straight line. Like the front-loading variety, this option usually does not offer a large volume. If this type of zipper is used in larger bags, the opening may seem small. A panel-loading zipper is often used on three-dimensional bags. The zipper usually goes around three sides of the top of the bag in order to create a larger opening, which means you can use this method for items with a larger diameter. These zipper styles are available in our stock bags, but that does not mean they are your only options. We know that you may have unique needs when it comes to your packaging. If you want a zipper added in a different way, such as an invisible zipper, you may need to make a custom bag. You can either use a design you already have, or we can help you create one. If you need assistance in selecting the right options for your business needs, contact us today. We’re happy to help!